1. If you live long enough, you will probably need some help. Increased life expectancy means that many of us will experience being “very old” (older than 85). This population has the highest risk of needing care. The need for eldercare can completely change your lifestyle and finances and throw your family into a crisis. While we plan for our healthy retirement years, we don’t always consider the need to plan for the time when health issues may arise, and we are less able to care for ourselves. Decisions may have to be made regarding your finances and living situation. Without advance planning, someone else may decide where you will live and how much of your money will be spent. By creating a longevity plan, you can advise your family of your preferences regarding your care, where you will live, and how it should be paid for. 2. Your Will probably gives you a false sense of security. Think about it. Your Will is only effective after you die. For many people, a last will and testament is the only “plan” they have made. A will does not address long-term care, finances, or legal matters while you are still alive. You may have other legal and financial documents that have not been coordinated with your Will. If a Will is the only legal document you have completed, you have left the years before your death to fate, fortune, or someone else’s decisions. 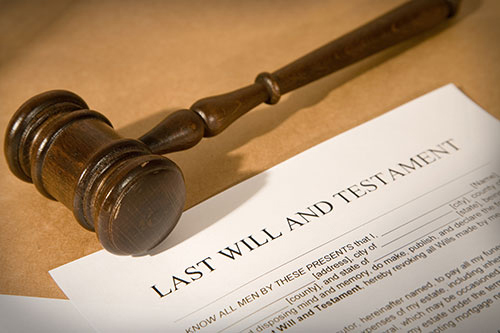 Furthermore, a Will does not save your family from probate after you die—it guarantees it! With proper planning to distribute your assets through beneficiary designations, trusts, or other tools, your family can avoid a lengthy and expensive process after you are gone. A longevity plan helps you protect, use, or transfer your assets according to your wishes. 3. You have worked hard for your money. If you need long-term care, most expenses will NOT be covered by Medicare or your private insurance, and you may have to deplete your savings. Most often, the only alternative to private pay or long-term care insurance is the Medicaid system. Medicaid requires that you spend your assets down to what the government determines you should be “allowed” to keep. By getting your financial and legal affairs in order before you need care, you can ensure that a significant amount of your hard-earned savings will still be there for your children after you are gone. Why spend all your life savings if there is a better way? There are government home care programs that you can qualify for without having to spend all of your money first. Because there is currently no five-year “look-back” to qualify for home care, many clients can qualify by moving money into a trust, even if care may be needed immediately or within a short period of time. A longevity planner will know about programs and services that may be available to you and your family and offer alternatives and techniques to preserve your money. 4. Because your family may not be perfect. Maybe your children don’t live near you. Maybe they don’t get along. Maybe you don’t want to ask them for help. Do you have anything in place should you need assistance with transportation, meals, or household chores? Even if your children live nearby, they may not have the time or knowledge to help you. Or worse, each of your children thinks they know exactly what you should do, and they argue over what should “happen” to mom or dad and how your money should be spent. A longevity plan developed by a neutral third-party can help your family navigate some of the more difficult and emotional issues with practical advice and a new perspective — relieving stress, reducing conflict, and saving you time and money. 5. Don’t end a good life by default. Do you really want someone else to determine the end of your life story? As much as our loved ones care for us and want to do the right thing, they cannot possibly know what we want if they are not told. Unfortunately, most of us spend more time planning for a vacation than we do about how our life will unfold should we need assistance. Wouldn’t you like to know if you will be able to afford these potential expenses and still leave something for your spouse and children? Don’t you want to know if you are eligible for government programs that help defray some or all of the cost? We should enjoy our long life with gratitude. Why not look forward to these extra years by having a plan in place instead of leaving it up to chance? You are the only one who can write the ending you want for your story and you deserve to give yourself and your family that lasting gift. You are worth it. Learn more about longevity planning and how it can help you to live out your life in peace and security. You can also call me to schedule a consultation at 716.204.1055.